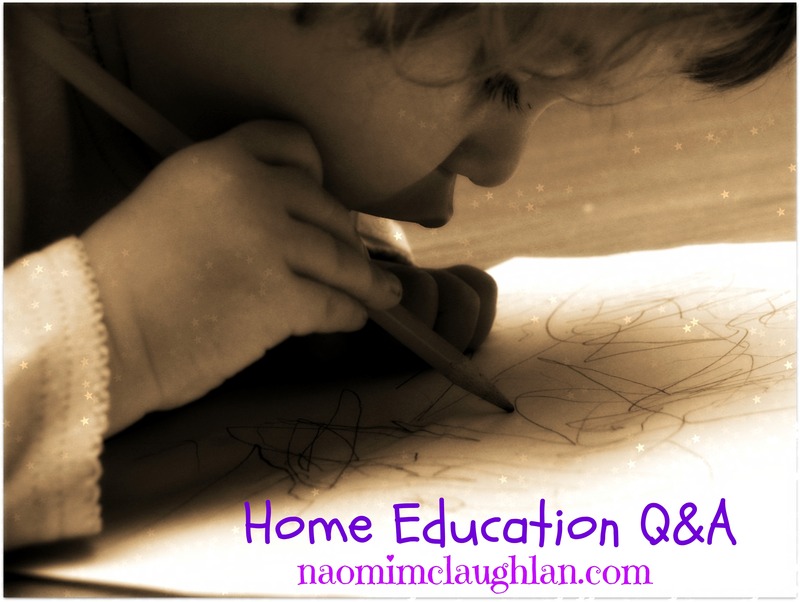 Home Schooling Q&A – Naomi Mc Laughlan – MBA, BA, Prof. Qual., S.A.C Dip. Every year more and more families decide to home educate their children around the world, studies estimate between 5-20 % per year. As for most countries it is not compulsory to register with the local educational authority, the number of home educated children is just an estimate. In the United States there are between 900,000 to 2,000,000 home scholars, in the UK about 50,000, about 30,000 children in Australia, and over 50,000 in South Africa. Reasons for their choice of education varies from family to family, while some home school because their children have special educational needs (SEN) that cannot be met in a mainstream school, others choose homeschooling because their children have been victims of bullying, or they live in a rural area or they have religious reasons for choosing home education. And a growing group of home educators fear the danger of a new shooting spree and just want to be sure their kids are save. 1. Do I need to be a teacher to homeschool my children? No, in most countries there are no requirements at all. In some states of the US homeschooling parents need a high school diploma as a minimum qualification. Make sure to check with your local educational authority, if you are in doubt. 2. Can I teach my child with additional needs or special educational needs (SEN)? Yes, absolutely! The tailor made curriculum you can choose when you are home schooling, can be of great benefit for your child. 3. How much does it cost to home educate my child? Depending on how much you are willing to spend on books and other materials you can homeschool for the same amount or less that you would spend on school uniforms, transport and the contribution on materials of a mainstream school per year. 4. How do I choose what to teach? In most countries it is your choice what subjects you include in your child’s curriculum. You can use the national curriculum of your home country as a guide. If your child has a Statement of Special Educational Needs (SEN) or an Individual Education Plan (IEP) you could use it as a guideline for your choice of curriculum subjects. After completing the modules, which you can do over a weekend or several weeks if you prefer, you will have an individual plan for each of your children at hand to get you started! P.S. : Buy ‘7 Ways to Make Reading Fun for Kids’ for only $3.09 / £1.93 at Amazon or sign up for the Professional Home Educator Academy Newsletter to receive the PDF version for FREE!!! ← Are You a Good Time Manager?